FYI (stylized as fyi,) is an American digital cable and satellite television network that is owned by A&E Networks, a joint venture between the Disney?ABC Television Group subsidiary of The Walt Disney Company and the Hearst Corporation (which each own 50%). The network features lifestyle programming, with a mix of reality, culinary, home renovation and makeover series. The network originally launched in 1999 as The Biography Channel?an offshoot of the A&E television series Biography. As such, it originally featured factual programs, such as reruns of its namesake. As A&E shifted its focus towards reality and drama series, Biography Channel became the home for several series that had been displaced by the network (including Biography itself), but shifted towards reality-oriented series itself in 2007 with a re-brand as simply Bio. The channel was launched on January 1, 1999 as The Biography Channel. A&E Television Networks (now A+E Networks, and operated as a joint venture between The Walt Disney Company, the Hearst Corporation and NBC at the time) conceived the channel as an offshoot of the long-running A&E profile series Biography. In addition to airing biographical shows, the network aired fictional, non-biographical programs that were previously seen on A&E, including Murder, She Wrote and Sherlock Holmes; the scripted programming was dropped from the channel in 2007. On October 1, 2000, A&E Networks expanded its British partnership with British Sky Broadcasting with the launch of an UK market Biography Channel. By August 2006, The Biography Channel became the exclusive home for the Biography series, which was also dropped by A&E. In July 2007, Biography Channel unveiled a new on-air brand?identifying the network simply as "Bio". The changes came as the network shifted its scope to de-emphasize traditional biographical programs in favor of ?true stories about fascinating people?, such as the new series Shatner´s Raw Nerve, hosted by actor William Shatner. The Biography Channel, or Bio, had been stagnating since A+E?s 2013 upfront presentation as little focus was place upon it. Bio was generating 12 cents per subscribers from the video provider which is half the industry average. After tweaking the three main A+E channels, Bio averaged viewers of 91,000 adults 25-54 in prime compared to what A&E (716,000) and History (703,000) managed over the same period. Jana Bennett was hired as president of LMN and Bio in June 2013 and, having transformed TLC from an educational channel to a lifestyle network, was considered an indication that adding a lifestyle channel to the A+E portfolio was a possibility. An opening in the genre occurred as the Style Network became the men-focused Esquire Network. 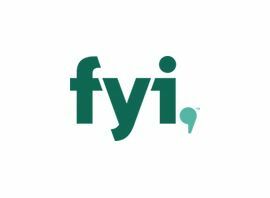 While preparing to launch FYI, Bio began re-airing A&E?s house-flipping shows and 30 potential shows were placed in development.